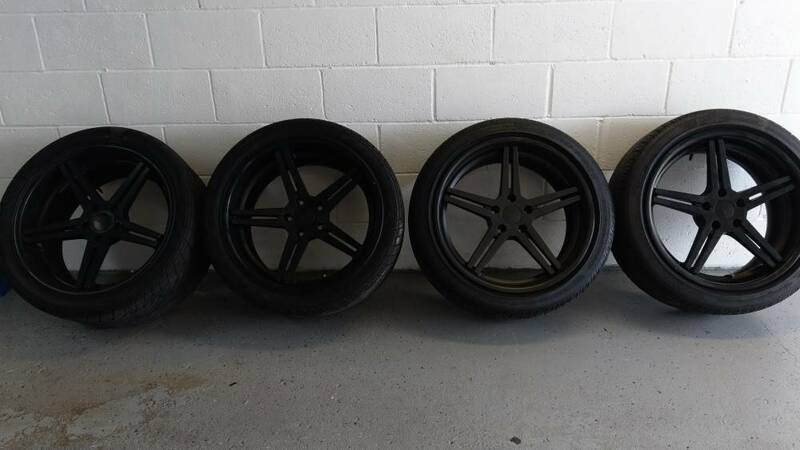 Staggered set of 19x8.5 +20 and 19x9.5 +40 TSW Mirabeau wheels. Rears have a nice concave. 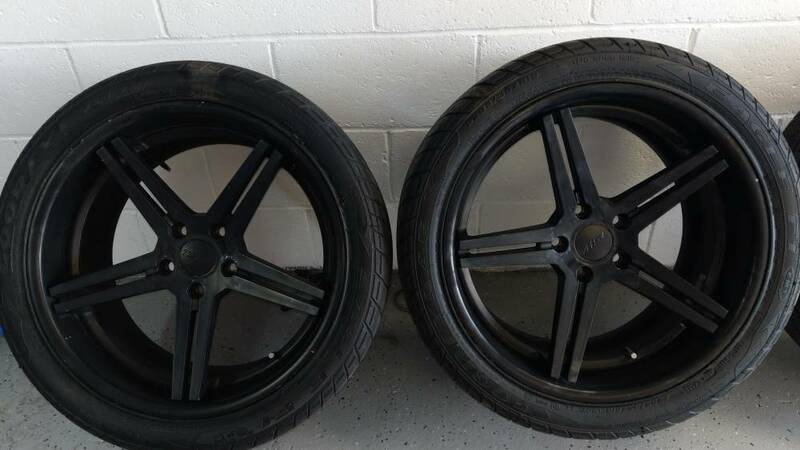 Tires are 255/40 and 285/35. 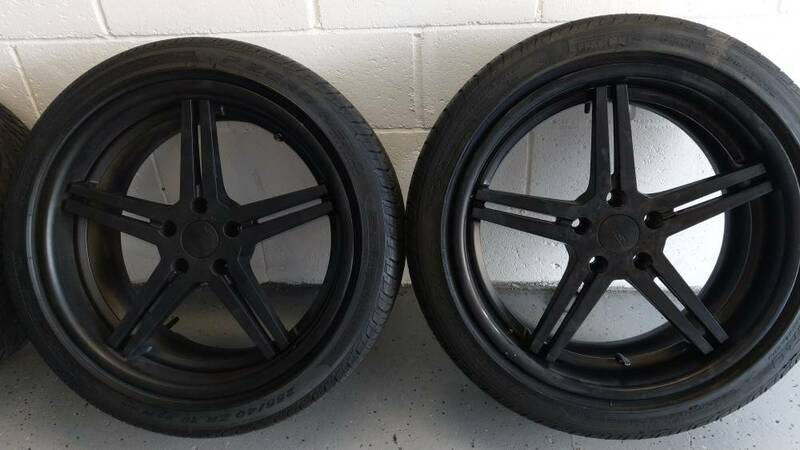 Wheels are in decent shape, not great.. Tires will need replaced. These came off of my 2015 Mustang. The wheels will clear big brake kits. (Clears performance pack Brembos) They were removed the day I bought the car. Last edited by 1320goat; 04-28-2018 at 03:33 PM. 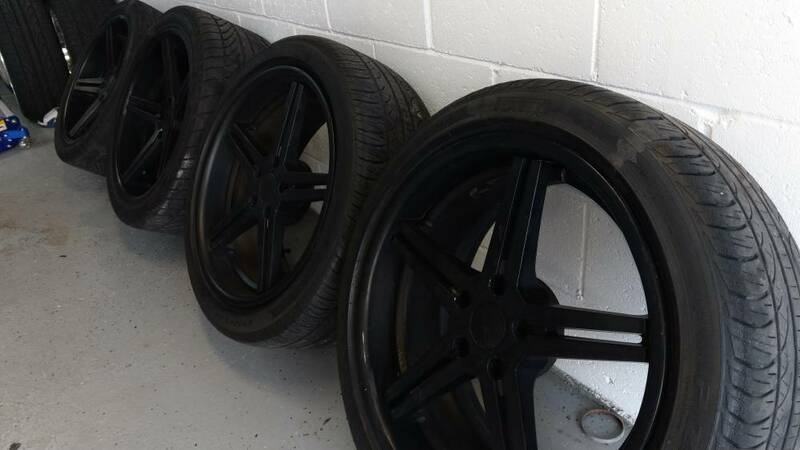 Forgot to mention these have '15+ tpms included. Make an offer on these. They are in the way. I need another Ranger to put those on.